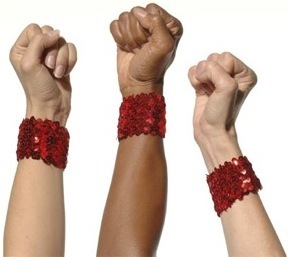 SequinsDirect.com and Dancers Responding to AIDS (DRA) announced the launch of “The Power of Shine” wristband. The wristband, as a fashion statement, is a new fundraiser initiative for dancers to band together and dance to continue the fight and help those who live with HIV/AIDS in the dance community.The wristbands, a notable red real sequin representing the fight for HIV/AIDS in the dance community will be sold for the first time this week end at the New Jersey, United Dance Merchants of America. For every wristband sold, $1 goes directly to Dancers Responding to AIDS (DRA). Wristbands are sold exclusively at SequinsDirect.com for $3.00 each with a wholesale minimum of two dozen. Dance studios are encouraged to purchase the wristbands in bulk and resell them at their schools as a fundraising idea. Retail suggested value of wristbands varies between $5 and $10. Everybody can get involved to support and promote a good cause through this innovative campaign. 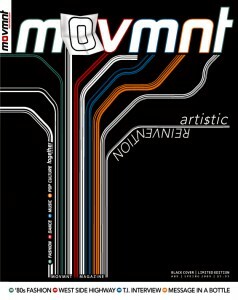 Promotional banners are available online to post on your myspace, blog, website…Movmnt and its co-founders are strong supporters of Dancers Responding to Aids and encourage everyone to get involved with any initiative that could make a difference. Now if only they could butch them out a bit Id be all over that!